In this part of the section we are going to test the Dynamics NAV integration. 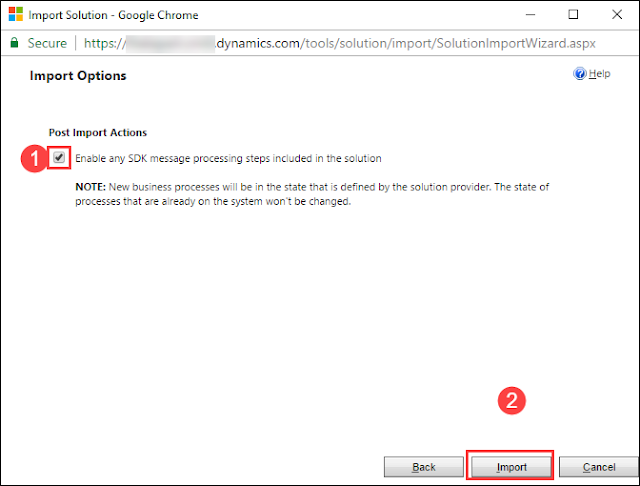 Step 02. Select a customer you want to synchronize to Dynamics CRM. Step 03. Click on "Synchronize Now" on the Navigate, and it will open a windows with different options. 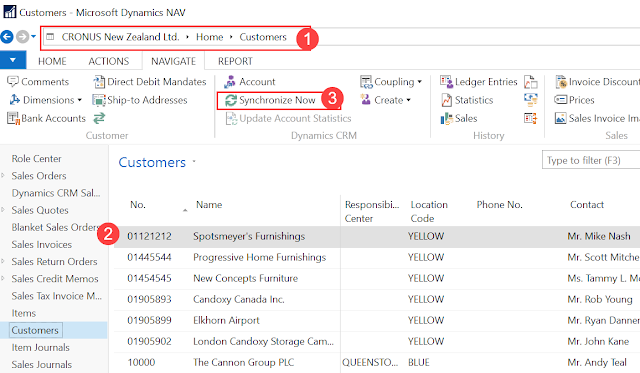 C. Open Dynamics CRM window and check on the Accounts. You will be able to see the customer which we synchronize through Dynamics NAV. 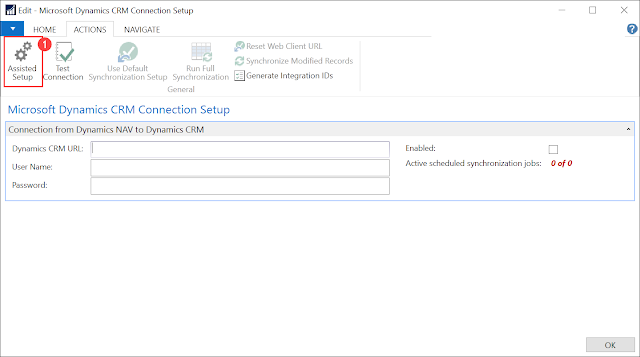 Scheduled jobs will synchronize setup integrations tables and if there is any errors it will show up in the CRM integration setup window. 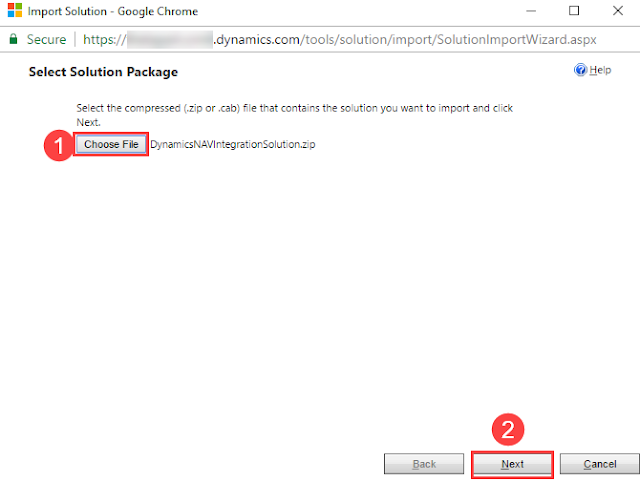 If you have any questions please post it in the comment section. 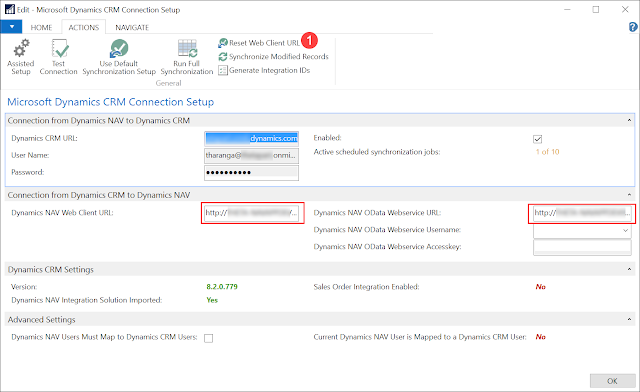 Thanks for the useful information on the configuration of integration between NAV and CRM. 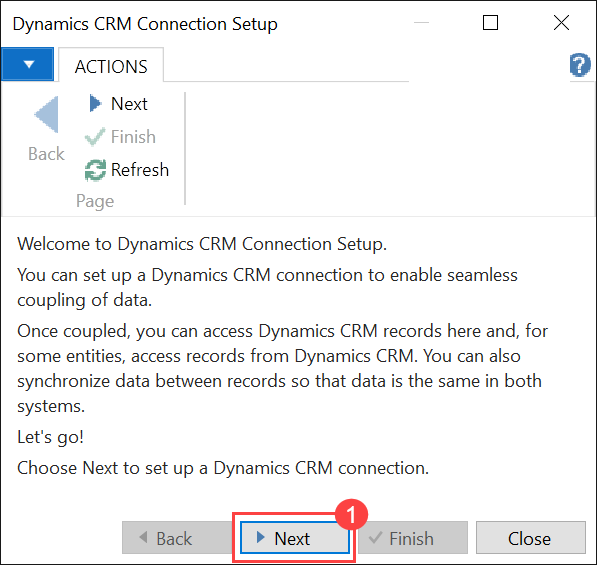 I have done this successfully with NAV 2016 and CRM Online However, have you tried it with Dynamics 365 for Sales? 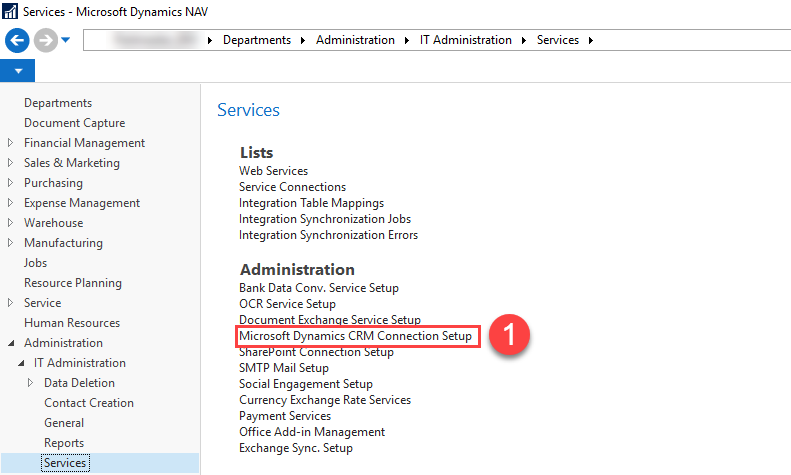 Also, is it mandatory to import the NavIntegration solution in CRM? 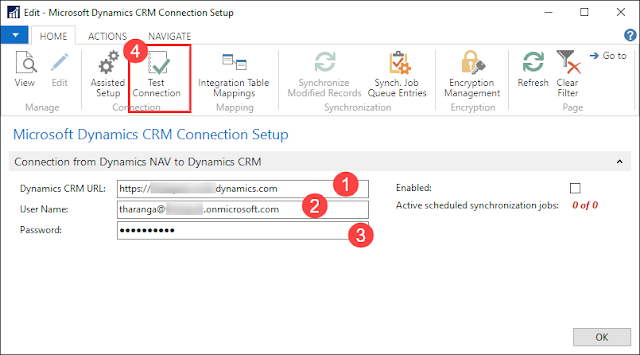 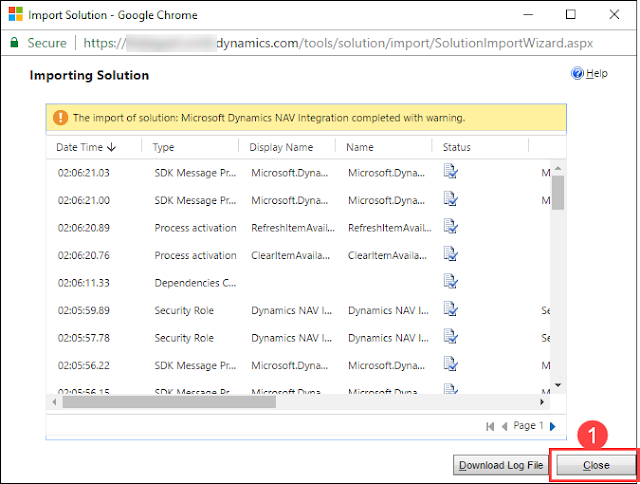 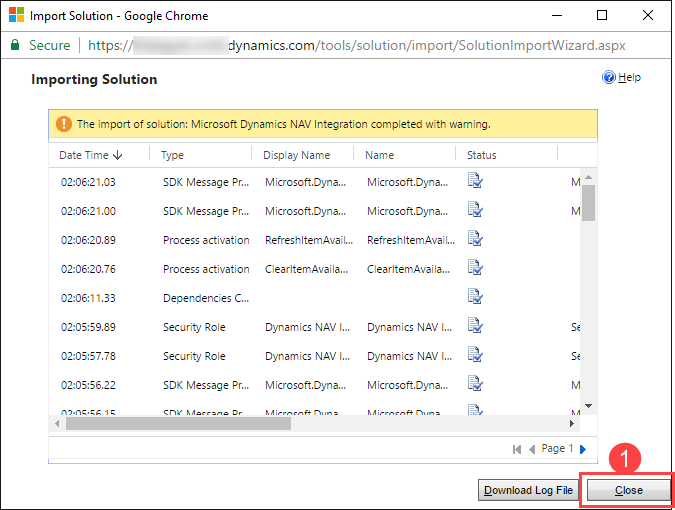 In other words, can CRM connection be tested using the Test Connection option in NAV 2017 to test the URL without importing the NavIntegration solution? Sorry I have not tried this with Dynamics 365 Sales. On the second question, yes it is mandatory to import the solution to CRM. I need one suggestion in integration. 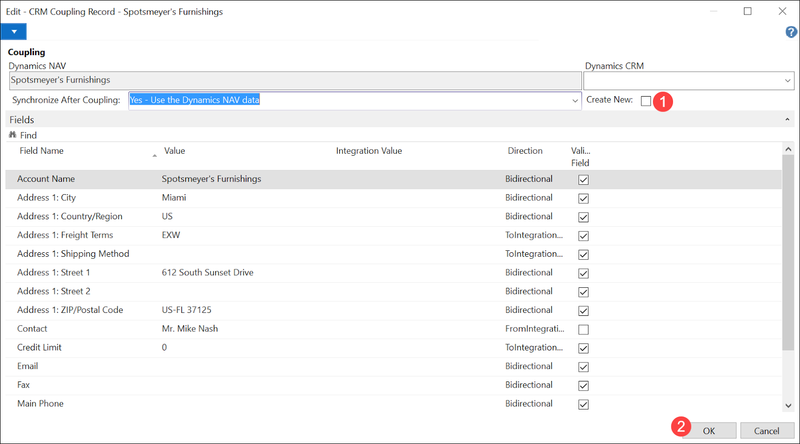 Kindly note that I am not able to see the "Dynamics CRM" group in the NAV ribbon to force a manual sync. 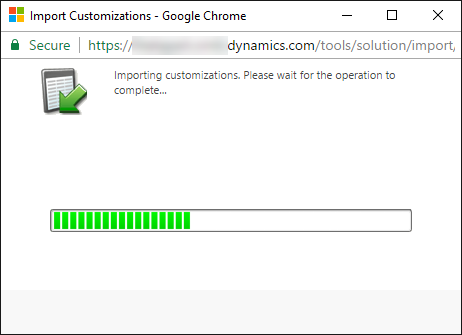 Did you try customizing your ribbon by right clicking on it? If that also does not show the CRM action button you might have to check your role center. 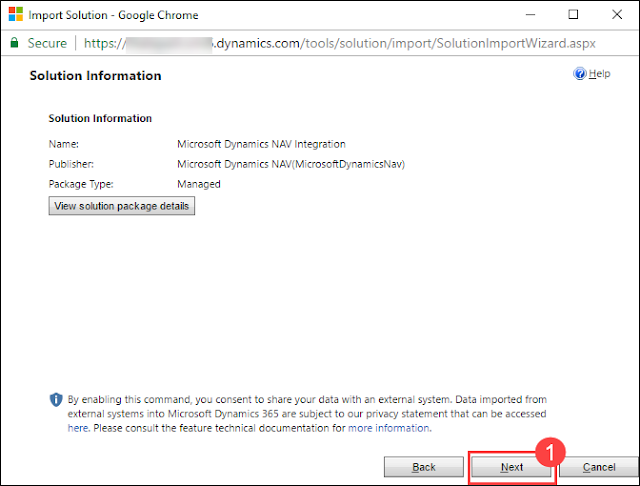 Does it show to other users? 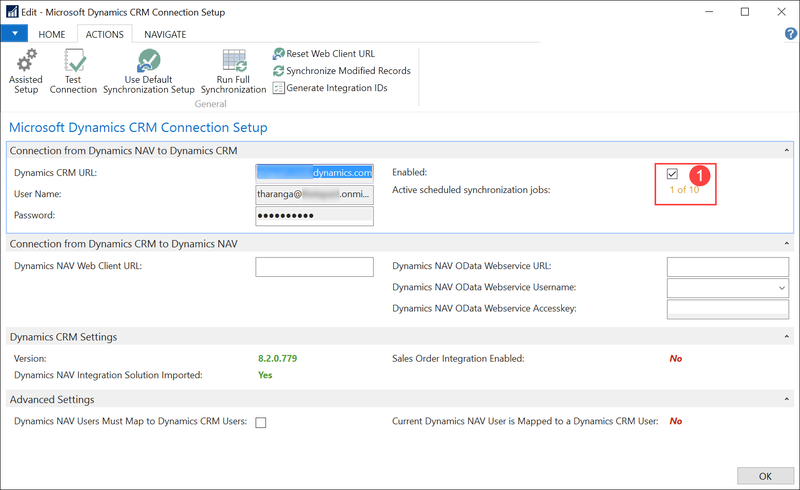 Hi, I have a question: it's possible connect DYNAMICS 365 (ON LINE) and DYNAMICS NAV 2015? if the answe is yes, what is the procedure?